Anna Eleanor Nestaval was born on 26 February 1883 at Montgomery, Le Sueur Co., Minnesota.2 She was the daughter of Joseph Nestaval and Anna Factor. Anna Eleanor Nestaval married Frank Michael Kaisersatt, son of Thomas J. Kaisersatt and Katrina Havel, on 6 July 1905 at St. Paul, Ramsey Co., Minnesota.3,4 Anna Eleanor Nestaval died on 20 April 1916 at Pokegama, Pine Co., Minnesota, at age 33.5 She was buried at Maple Lawn Cemetery, Faribault, Rice Co., Minnesota. Her married name was Kaisersatt. Anna Eleanor Nestaval was a Catholic. Following from The Faribault Republican Newspaper of 21Apr1916 Friday, page 6 column 2. Mrs. Anna Nestaval Kaisersatt, wife of County Auditor Kaisersatt, died Thursday evening at the sanitarium at Pokegama, where she has been a patient for the last six months. She had been ill with a serious throat trouble for two or three years. Everything possible had been done, but nothing availed. Leaves little daughter motherless. For a year the family had been apprehensive that she could not recover, it being feared that she could not overcome the malady which resisted the best medical skill that could be procured, and it having been found no climatic change was beneficial. In recent weeks it was apparent that she could not long survive, and a month ago Mr. Kaisersatt and her father and mother were called to her bedside. She rallied, and was better for a little time, but within the last week no hope was held out. Mr. Kaisersatt received a message barely in time to catch the 11:40 Milwaukee train Thursday, but it was not known whether he reached his destination before her death or not. About 9 o'clock Thursday night he phoned the sad news back to Faribault. Mrs. Kaisersatt was a daughter of Mr. and Mrs. Joseph Nestavel [sic], who live near Montgomery. Both father and mother survive, and there are six sisters, one brother and one step-brother. The sisters are Mrs. Thomas Skluzacek of Lonsdale, Mrs. Elizabeth Hubbard, who has been in Faribault during the past winter, and the Misses Rose, Beatrice, Stella, and Genevieve. Edward lives near Montgomery and the step-brother, Frank Nestaval, lives at Salida, Colorado. Mrs. Kaisersatt leaves, besides her husband, one little daughter, Harriet, who has been staying with her grandparents since the mother's absence from home. J.F. McCarthy went to Pokegama Friday morning, and with Mr. Kaisersatt, will accompany the body to Faribault. They are expected to arrive Friday night, and announcement of the funeral will be made Saturday. Burial will be made at Maple Lawn. [S511] Anna Eleanor Nestaval entry, birth, LeSueur County Courthouse, Le Center, Le Sueur Co., Minnesota. [S514] Franklyn Curtiss-Wedge, History of Rice & Steele Counties, Vol II, 1910, pg 1342-1343 (Chicago, Illinois: H.C. Cooper, 1910). Hereinafter cited as History of Rice and Steele Counties. [S1970] Minnesota Official Marriage System, online http://www.mncounty.com/Modules/Certificates/Marriage/Default.aspx, Marriage Certificate F-440 (Redwood Co., MN). Hereinafter cited as Minnesota Official Marriage System. [S513] Unknown article title, OBITUARY: Faribault Republican, 21Apr1916 Friday, pg 6 col 2, Faribault, Minnesota, 21 Apr 1916, 6. Hereinafter cited as FDN. Her married name was Skluzacek. Emily lived in Lonsdale, MN when sister Anna died in 1916. Emily was living in Lonsdale, MN in 1946, moved to California. Emily lived in San Francisco when sister Elizabeth died in 1960. Soc Security Death Index says died at Laguna Beach, Orange Co., CA. Her Social Security Number was 569-42-4007 issued in CA. Worldconnect.rootsweb.com has a database entry 46200 dated 25Aug2001, from Barbra Kozisek on Emily Nestaval and husband Thomas Skluzacek. Burial: AUG 1947 Calvary Cemetery, Lonsdale, Rice, Minnesota. Following from The Faribault Daily News newspaper of 13Oct 1983Thursday, page 2, column 4. Mrs. Emily Skluzacek, 95, formerly of Lonsdale, died in Orange County Tuesday, Oct. 11. Services will be at 11 a.m. Saturday in Lonsdale Funeral Home. Burial will be in Calvary Cemetery. She is survived by one daughter, Mrs. Virginia Petersen of Laguna, Calif., and several grandchildren and great-grandchildren. Veronica Skluzacek (1887-1983)'. It contains portions of Emily's diary, recollections of growing up, photographs and examples of some of her poetry. Census 12 June 1895 Montgomery, Le Sueur Co., Minnesota, listed as 7 years old. [S516] Emily Veronica Nestaval, unknown file number, Social Security Death Index (b- 14Nov1887 d- Oct1983), unknown series (n.p. : n.pub.). [S515] Unknown household, census, Montgomery, Le Sueur Co., Minnesota, unknown record info, Family History Library: 35 North West Temple St., Salt Lake City, Salt Lake Co., Utah. [S517] Unknown article title, OBITUARY: Faribault Daily News, 13Oct1983 pg 2 col 4, Faribault, Minnesota, 13 Oct 1983, 2. Hereinafter cited as FDN. Elizabeth (Lizzie) B. Nestaval was born on 2 November 1885 at Montgomery, Le Sueur Co., Minnesota.5 She was the daughter of Joseph Nestaval and Anna Factor. Elizabeth (Lizzie) B. Nestaval married Charles Henry Hubbard on 28 April 1915 at Minneapolis, Hennepin Co., Minnesota.6 Elizabeth (Lizzie) B. Nestaval married Frank Michael Kaisersatt, son of Thomas J. Kaisersatt and Katrina Havel, on 29 June 1918 at St. Paul, Ramsey Co., Minnesota.7 Elizabeth (Lizzie) B. Nestaval died on 2 February 1960 at Faribault, Rice Co., Minnesota, at age 74.8 She was buried on 5 February 1960 at Maple Lawn Cemetery, Faribault, Rice Co., Minnesota; PLOT Section M-5. Death Record for Elizabeth, lists birth as 2Nov1883 MN. Her married name was Hubbard. As of 29 June 1918,her married name was Kaisersatt. She retired in 1955. The cause of death was heart attack. Elizabeth (Lizzie) B. Nestaval was a Catholic. Her Social Security Number was 468-42-5798. Following from The Faribault Weekly Journal newspaper of 3 July 1918, Wednesday, page 5, column 4. Mr. Frank M. Kaisersatt, county auditor of Rice county, and Elizabeth Nestaval Hubbard of this city, were married on Saturday morning in St. Paul, Rev. John Rynda performing the ceremony. While in St. Paul Mr. and Mrs. Kaisersatt were the guests of John Kaisersatt. Mr. and Mrs. Kaisersatt left on a trip of ten days or two weeks. They will visit in the northern part of the state and will go to Camp Dodge and Camp Grant. They will also visit Washington, D.C. Following from The Faribault Daily News newspaper of 3 Feb 1960 Wednesday, page 11, column 3. Mrs. Frank M. Kaisersatt, 74, died at St. Lucas Hospital Tuesday afternoon, Feb. 2. Funeral services will be held Friday, Feb. 5, at 2:30 p.m. at the Lenmark Funeral Home with the Rev. William McGrade, assistant pastor of Immaculate Conception church, officiating. Burial will be in Maple Lawn cemetery. Elizabeth Nestaval Kaisersatt daughter of Joseph and Ann Nestaval, had been a Faribault resident since 1916. Following from The Faribault Daily News newspaper of 4 Feb 1960 Thursday, page 15, column 2. Funeral services for Mrs. Frank M. Kaisersatt, 74, who died Tuesday, Feb. 2, at St. Lucas Deaconess Hospital, will be held Friday, Feb. 5, at 2:30 p.m. at the Lenmark Funeral Home with the Rev. William McGrade, assistant pastor of Immaculate Conception church officiating. Burial will be made in the family lot in Maple Lawn cemetery. Friends may call at the Lenmark Funeral Home this evening, Feb. 4, and on Friday until the hour of the service. She is survived by her husband, Frank M; by one daughter, Harriet; by five sisters, Mrs. Tom C. Skluzacek (Emily V.), San Francisco, Calif., Mrs. Franklin Kerr (Rose), Masillon, Ohio; Beatrice A. Darnell, San Francisco, Calif; Mrs. Samuel C. Gale (Stella), Minneapolis, and Mrs. Harry Evans (Geneva), Glenn Ellyn, Ill; and by one brother, Edward J. Nestaval, New Town, N.D. She was preceded in death by her parents; by two sisters, Anna and Mary; and by two brothers, Frank and Jaroslav (Jerry). Following from The Faribault Daily News newspaper of 10 Feb 1960 Wednesday, page 12, column 6. Funeral services for Mrs. Frank M. Kaisersatt, 74, 26 Park Place, who died Tuesday, Feb. 2, at St. Lucas Deaconess hospital following a heart attack, were held Friday, Feb. 5, at 2:30 p.m. at the Lenmark Funeral Homer with the Rev. William McGrade officiating. Pallbearers were Eldon C. Prinzing, Irven A. Larson, Frank L. Thayer, J.V. Williams, Edward T. Hunt and Herman Hassler. Internment was in Maple Lawn cemetery. Elizabeth B. Kaisersatt, daughter of Joseph and Anna Nestaval, was born Nov. 2, 1885, and raised on a farm, a mile and a half east of Montgomery in LeSueur county. She was confirmed in the Roman Catholic Church in Montgomery. She attended school district 18 and Montgomery high school. At the age of 18, she received a teacher's certificate, by examination, and taught for several years in the public schools of LeSueur and Rice counties, including the public school at Lonsdale. She came to Faribault in 1916 and for two years worked in the off of the Rice county auditor as assistant deputy auditor. On June 29, 1918, she married Frank M. Kaisersatt in Minneapolis. They lived in Faribault, and she worked at deputy auditor for eight years and then one year as assistant supervisor of assessments. In 1928 she took charge of the local state bureau of registration of motor vehicles as assistant deputy registrar and as such also conducted chauffeur's examinations. She continued in that state service for 27 years until her retirement in 1955. She was busy with her home and house duties until within a few hours of her death. She is survived by her husband, Frank M; by his daughter Harriet, the daughter of her deceased sister, Anna; by five sisters, Mrs. Tom C. Skluzacek (Emily), San Francisco, Calif., Mrs. Franklin T. Kerr (Rose), Massillon, Ohio, Mrs. J. Darnell (Beatrice), San Francisco, Calif., Mrs. Samuel C. Gale (Stella), Minneapolis, and Mrs. Harry Evans (Geneva), Glenn Ellyn, Ill; and by one brother, Edward J. Nestaval, New Town, N.D.
She was preceded in death by her parents; by two sisters, Anna and Mary; and by one brother, Frank. Relatives and friends attended the funeral from Montgomery, Erin Town, New Prague, Veseli, Lonsdale, Northfield, New Town, N.D. and Faribault. Census 5 April 1930 Faribault, Rice Co., Minnesota, listed as 40 years old, born in Minnesota, enumerated with husband and Harriet. [S519] Letter from Kirk Zack Nestaval (302 Park Ave., Grand Forks, ND 58203) to Steven Harn Redman, 24 Feb 1992; Steven Harn Redman (2633 N. 1600 E., Layton, Davis Co., UT). [S521] Unknown article title, Marriage notice in Faribault Weekly Journal 3Jul1918 Wed, pg 5:4, Faribault, Minnesota, 03 Jul 1918, 5. Hereinafter cited as Faribault Weekly Journal. [S523] Elizabeth (Lizzie) B. Nestaval entry, SOURCE: Death Records, Rice Co , MN, Book 2, pg 429, line 6, Rice County Courthouse, Faribault, Rice Co., Minnesota. [S518] Elizabeth (Lizzie) B. Nestaval entry, birth, LeSueur County Courthouse, Le Center, Le Sueur Co., Minnesota. [S1970] Minnesota Official Marriage System, online http://www.mncounty.com/Modules/Certificates/Marriage/Default.aspx, Marriage Certificate 01830099. Hereinafter cited as Minnesota Official Marriage System. [S1970] Minnesota Official Marriage System, online http://www.mncounty.com/Modules/Certificates/Marriage/Default.aspx, Marriage Certificate MN-639 (Rice Co. MN). [S522] Unknown article title, OBITUARY: Faribault Daily News, 4Feb1960 Thursday, pg 15 col 2, Faribault, Minnesota, 04 Feb 1960, 15. Hereinafter cited as FDN. Edward John Nestaval was born on 18 December 1891 at Montgomery, Le Sueur Co., Minnesota.2 He was the son of Joseph Nestaval and Anna Factor. Edward John Nestaval married Esther Alvina Halvorson, daughter of Henry Halvorson and Siri (? ), on 25 September 1932 at Stanley, Mountrail Co., North Dakota. Edward John Nestaval died on 5 September 1964 at Minot, Ward Co., North Dakota, at age 72.3 He was buried at New Town, Mountrail Co., North Dakota. He graduated circa 1909 at Camby High School, Yellow Medicine Co., Minnesota. Comment: enlisted in the Navy at Minneapolis, Minn., on Feb. 25, 1918; served at Dunwoody Naval Training School, Minneapolis, Minn., to April 20, 1918; Naval Radio School, Cambridge, Mass., to Aug. 23, 1918; Receiving Ship, Philadelphia, Pa., to Sept. 16, 1918; Headquarters, 4th Naval District, Philadelphia, Pa., to Oct. 30, 1918; Receiving Ship, Philadelphia, Pa., to Nov. 11, 1918. Grades: Landsman Electrician, Radio, 178 days; Electrician 3rd Class, Radio, 81 days. Relieved from active duty at Minneapolis, Minn., on June 23, 1919, as an Electrician 2nd Class, Radio. Discharged on Sept. 30, 1921. Ancestry.com. North Dakota Military Men, 1917-1918 (database online). He lived in 1946 at Van Hook, Mountrail Co., North Dakota. Edward was listed as a farm laborer in the 1920 Census. Edward lived near Montgomery in 1916 when sister Anna died. Edward lived in New Town, ND when sister Elizabeth died in 1960. Edward John Nestaval was a Catholic, converted to Lutheran. Edward John Nestaval was born in Montgomery, Minnesota on December 18, 1891 to Josef and Anna Nestaval. Ed had a half brother, Frank, as well as several brothers and sisters namely: Anna, Elizabeth, Mary, Emily, Jerry, Rose, Beatrice, Stella, and Genevieve. The family was of Czechoslovakian descent. His father had immigrated to America, coming directly to Minnesota and settling on a farm two miles east of Montgomery. His father had married Anna Nemec, who died seven years later. They had one son, Frank. Several years later he married Anna Factor. Ed spoke Czech before learning to speak English. His parents immigrated to the United States because of political persecution. Ed graduated from Camby High School in Minnesota. He attended Harvard University, Cambridge, Massachusetts and homesteaded south of Van Hook, ND in 1914. He served in the U.S. Navy during World War I from 1917 to 1919. After his tour of duty he returned to his farm at Van Hook. He spent the summers on his farm and in the winters he traveled with his friends, Art Larson, Charlie Holst, and Russell Ellis in a 1917 Model-T Ford. Ed married Esther Alvina Halvorson on September 25, 1932 in Stanley, ND. Esther was of Norwegian descent and attended a Lutheran church. Ed was a Catholic until he converted to the Lutheran faith in Watford City, ND in 1944. They were happy to be blessed with five children: Hal Joe, Darlene Joan, Jerry Edward, Sara Ann, and Kirk Zack. Ed purchased the Henry Halvorson farm and returned to farming in 1944 until 1956. The towns of Van Hook and Sanish had to be relocated due to the flood waters from the Missouri River as a result of the Garrison Dam Project in 1953. They moved to their new home in New Town, ND, at 314 5th Street. From 1936 to 1939, he was employed with the Mountrail County Triple A Office and for the Farm Security Administration. He was the McKenzie County Supervisor for the FSA from 1939 to 1944. Ed served as director of the Farmer's Union Elevator at Van Hook, ND, and director of Mountrail County Rural Electrification Administration. He served as director on the Sanish-New Town Relocation Corporation and was a member of the Bethel Lutheran Church. He served on the New Town City Council, was city auditor for a time, and was a life member of Beck Sherven American Legion of New Town. Edward John Nestaval passed away at the Veteran's Hospital in Minot, North Dakota, on September 5, 1964. His family was with him. He was laid to rest at the New Town Cemetery. Ed had brown hair and brown eyes. His Social Security Number was 501-01-9252 issued in North Dakota. Census 12 June 1895 Montgomery, Le Sueur Co., Minnesota, listed as 5 years old. Census 8 January 1920 Montgomery Twsp., Le Sueur Co., Minnesota, E.D. 76, sheet 2. [S524] Edward John Nestaval, unknown file number, Social Security Death Index (b- 18Dec1891 d- Sep 1964 ND), unknown series (n.p. : n.pub.). Comment: enlisted in the Navy at Minneapolis, Minn., on Feb. 25, 1918; served at Dunwoody Naval Training School, Minneapolis, Minn., to April 20, 1918; Naval Radio School, Cambridge, Mass., to Aug. 23, 1918; Receiving Ship, Philadelphia, Pa., to Sept. 16, 1918; Headquarters, 4th Naval District, Philadelphia, Pa., to Oct. 30, 1918; Receiving Ship, Philadelphia, Pa., to Nov. 11, 1918. Grades: Landsman Electrician, Radio, 178 days; Electrician 3rd Class, Radio, 81 days. Relieved from active duty at Minneapolis, Minn., on June 23, 1919, as an Electrician 2nd Class, Radio. Discharged on Sept. 30, 1921.. Hereinafter cited as All North Dakota Military Men, 1917-1918. Genevieve Cornelia Nestaval was born on 30 August 1903 at Seaforth, Redwood Co., Minnesota.3 She was the daughter of Joseph Nestaval and Anna Factor. Genevieve Cornelia Nestaval married James Harrison Evans on 20 November 1926 at Hennepin Co., Minnesota.4 Genevieve Cornelia Nestaval died on 2 August 1999 at DuPage Co., Illinois, at age 95. Obituary of sister Elizabeth, lists Geneva's husband, Harry Evans. She lived in 1916; Genevieve lived near Montgomery in 1916 when sister Anna died. Her married name was Evans. She lived on 19 April 1940 at 424 N. Sergant, Joplin, Jasper Co., Missouri.5 She lived in 1946 at Chicago (Glen Ellyn), DuPage Co., Illinois. She lived in 1960; Geneva lived in Glen Ellyn, IL when sister Elizabeth died in 1960. She lived in February 1993 at 393 Anthony St., Glen Ellyn, DuPage Co., Illinois. Census April 1930 Milwaukee, Milwaukee Co., Wisconsin, age listed as 26 during Census, and 23 when first married. [S1970] Minnesota Official Marriage System, online http://www.mncounty.com/Modules/Certificates/Marriage/Default.aspx, Marriage Certificate 03080108. Hereinafter cited as Minnesota Official Marriage System. Source Citation: Year: 1940; Census Place: Joplin, Jasper, Missouri; Roll: T627_2117; Page: 9A; Enumeration District: 49-6. Ancestry.com. 1940 United States Federal Census (database on-line). Provo, UT, USA: Ancestry.com Operations, Inc., 2012. Stella Nestaval was born on 15 April 1899 at Montgomery, Le Sueur Co., Minnesota.3 She was the daughter of Joseph Nestaval and Anna Factor. Stella Nestaval married Samuel Chester Gale on 3 June 1926.4 Stella Nestaval married Franklin Thomas Kerr, son of William R. Kerr and Anna McNally, on 4 November 1964 at Minnesota.5,6 Stella Nestaval died on 20 October 1979 at Hennepin Co., Minnesota, at age 80; Certificate Number: 025751.7 She was buried at Sunset Memorial Park Cemetery, Minneapolis, Hennepin Co., Minnesota; Plot: Block 1, Find A Grave Memorial# 100607716. She was buried at Sunset Memorial Park Cemetery, Minneapolis, Hennepin Co., Minnesota; Plot: Block 1, Find A Grave Memorial# 100607716. Ancestry.com. Minnesota, Marriage Collection, 1958-2001 database on-line. Provo, UT, USA: Ancestry.com Operations Inc, 2007. Minnesota Center for Health Statistics, Office of the State Registrar. Minnesota Marriage Index, 1958-1995. Minnesota Center for Health Statistics, Office of the State Registrar, St. Paul, Minnesota., unknown repository, unknown repository address. Hereinafter cited as www.ancestry.com. [S1928] Wallace Hawn Brucker, Johann Adam Brucker and his American descendants (El Paso, Texas: Guynes Printing Co., 1978), pg 72-73. Hereinafter cited as Johann Adam Brucker and his American descendants. Source Citation: Year: 1951; Arrival; Microfilm Serial: T715; Microfilm Roll: 8012; Line: 11; Page Number: 153. Ancestry.com. New York, Passenger Lists, 1820-1957 (database on-line). Provo, UT, USA: Ancestry.com Operations, Inc., 2010.. Hereinafter cited as New York, Passenger Lists, 1820-1957. Rose lived near Montgomery in 1916 when sister Anna died. Rose lived in Massillon, Ohio when sister Elizabeth died in 1960. Source Citation: Cuyahoga County Archive; Cleveland, Ohio; Cuyahoga County, Ohio, Marriage Records, 1810-1973; Volume: Vol 147-148; Page: 427; Year Range: 1926 Oct - 1927 May. Ancestry.com. Cuyahoga County, Ohio, Marriage Records and Indexes, 1810-1973 database on-line. Provo, UT, USA: Ancestry.com Operations, Inc., 2010. Cuyahoga County, Ohio, Marriage Records, 1810–1973. Microfilm publication, 137 rolls. Reels 1-110. Cuyahoga, Ohio., unknown repository, unknown repository address. Hereinafter cited as Marriage Franklin Kerr and Rose Nestaval. Source Citation: Year: 1940; Census Place: Perry, Stark, Ohio; Roll: T627_3150; Page: 7B; Enumeration District: 76-80. Original data: United States of America, Bureau of the Census. Sixteenth Census of the United States, 1940. Washington, D.C.: National Archives and Records Administration, 1940. T627, 4,643 rolls.. Hereinafter cited as 1940 United States Federal Census - Ohio. 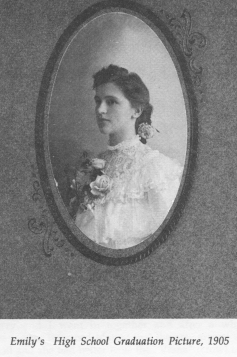 Beatrice (Bessie) Albina Nestaval was born on 2 April 1897 at Montgomery Twsp., Le Sueur Co., Minnesota.3 She was the daughter of Joseph Nestaval and Anna Factor. Beatrice (Bessie) Albina Nestaval married James Ellsworth Darnell, son of J.W. Darnell and Sarah Light, on 7 September 1926 at Storm Lake, Buena Vista Co., Iowa.4 Beatrice (Bessie) Albina Nestaval died circa March 1972 at Santa Clara, Santa Clara Co., California.5 She was buried at Sunset Memorial Park Cemetery, Minneapolis, Hennepin Co., Minnesota; PLOT Block 1, lot 387. SOURCE: Birth record, LeSueur Co., MN. Birth index has a Bessie Albina born on 02Apr1896. Someone had taken a red pen to her birth record, changing name to Beatrice Albina, and date of birth to 02Apr1897. She lived in 1916 at near Montgomery, Le Sueur Co., Minnesota; Beatrice lived near Montgomery in 1916 when sister Anna died. She lived in 1920 at Faribault, Rice Co., Minnesota; In 1920 Census, Beatrice living with Frank & Elizabeth Kaisersatt. Her married name was Darnell. She lived in September 1926 at Minneapolis, Hennepin Co., Minnesota.4 She lived in 1946 at Minneapolis, Hennepin Co., Minnesota. She lived in 1960 at San Francisco, San Francisco Co., California; Beatrice lived in San Francisco when sister Elizabeth died in 1960. Her Social Security Number was 475-10-4310 issued in MN. Her married name was Nestaval. >>> Need to check on birthyear versus when married. Thomas C. Skluzacek, 60 year old Lonsdale business man, passed away at his home in Lonsdale on Thursday evening, August 7 at 9:30 o'clock. He had been ill for about seven weeks. Thomas Skluzacek was born in Wheatland Township on March 29, . He was the son of the late Mr. and Mrs. Josef Skluzacek. He attended rural grade schools, Montgomery high school and Mankato Business College. He started working at the Lonsdale State Bank at the age of 19 and worked there till 1930. That year he started working for the Fidendill Land Bank of St. Paul for some time. Later he became engaged in the implement and coal business in Lonsdale, which he ran to the time of his death. He married Emily Nestaval at Montgomery on June 4, 1913. He is survived by his wife and two daughters, Mrs. James (Vivian) Wayne of San Francisco, Calif., and Mrs. Paul (Stella) Fink of Northfield. Also surviving are two sisters, Mrs. Mary Kucera of Le Center, Mrs. Anna Schatz of Montgomery, and five brothers, Joseph F. of Lonsdale, Albert J. of Faribault, Jacob C. of Northfield, Frank A. of New Prague, and Anthony of Arizona. He was preceded in death by three sisters, Mrs. Christine Lepeska, Mrs. Bartlett Corser, and Mrs. George [Boutelle], and three brothers, Rev. Augustine Skluzacek, Theologue John Skluzacek and Valentine Skluzacek. The funeral was held from the Immaculate Conception Church at Lonsdale on Saturday morning, August 9 at 9:30 o'clock. Rev. Stanley Skluzacek officiated at the requiem mass. Interment was in Calvary cemetery. Pallbearers were Francis Jirik, Leonard Skluzacek, Roland Skluzacek, Theodore Skluzacek, Frank Skluzacek, and Daniel Skluzacek, all nephews of the deceased. Relatives and friends from out of town present at the funeral included Mr. and Mrs. S. C. Gale of Minneapolis, Mr. and Mrs. Frank Kaisersatt and Harriet of Faribault, Mr. and Mrs. George Fink of Northfield, Mr. And Mrs. Arnold Fink of St. Paul, Mr. and Mrs. Warren Fink of Northfield, Mrs. John Mahowald, Mrs. Elmer Mahowald of Northfield, Mrs. And Mrs. Jacob Skluzacek of Northfield, Rev. Jerry Skluzacek of Protevine, Iowa, Mrs. Bill Tralie of Faribault, Mr. And Mrs. Bert Traxler, Mrs. Joe Schatz and son of Montgomery and Miss Josephine Skluzacek of Protevine, Iowa. Thomas Charles Skluzacek was a Banker. SOURCE: Jerry E. Nestaval letter 26Mar1992. Obituary from 25Aug1947, lists Thomas born on 29Mar1887. Rice County Families, Their History Our Heritage, 1981, pg 681. Death Record for Thomas, lists birth as 28Mar1887 in Minnesota. Thomas Charles Skluzacek was a Catholic. Following from History of Rice and Steele Counties, volume II, published in 1910, compiled by Franklin Curtiss-Wedge, page 1442-1443. Thomas Skluzacek was born in Wheatland , March 31, 1887., a son of Joseph and Katherine (Sticha) Skluzacek, natives of Bohemia. The father was by occupation a farmer, and came to this country in 1855, locating at St. Louis, remained there about one year, and then came to Minnesota, settling in Jordan, where he resided for six months. He then moved to New Prague, where he was in the hotel business for about eight years; from there he moved to Wheatland township, where he bought a farm in section 19, when he carried on until 1890. He deeded the property to his oldest son, Joseph F., and moved two miles further south where he farmed until 1907. He moved to Lonsdale where he now lives. Mr. Thomas Skluzacek was educated in the district schools of Wheatland, and at Montgomery. He spent seven months at a business college in Mankato. After leaving school he took up banking. He started as bookkeeper in the State Bank of Lonsdale, and is now cashier. He is one of a family of fourteen children. In his political views he is a Republican, and is a member of the Roman Catholic Church. He is now the village recorder and is a stockholder in the Lonsdale Bank. Following from The Faribault Daily News newspaper of 14 Aug 1947 Thursday, page 14, column 1. Funeral services were held at the Church of the Immaculate Conception on Saturday morning, August 9, for Thomas C. Skluzacek of Lonsdale who passed away at his home of Thursday evening, August 7. Following from The Faribault Daily News newspaper of 25 Aug 1947 Monday, page 8, column 1. Thomas C. Skluzacek, a well known member of the community passed away at his Lonsdale home on Thursday, Aug. 7, at 9:30 p.m. after an illness of seven weeks. He was born on March 29, 1887, son of the later Joseph and Catherine Skluzacek, in Wheatland township. 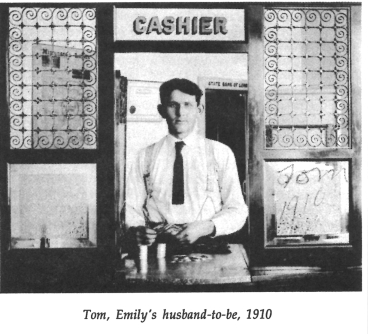 After attending the rural schools, Montgomery high school and Mankato Business College, he entered the Lonsdale State bank as assistant cashier at the age of 19 and worked there until 1930. After that he was engaged in the coal and implement business until his death at the age of 60. On June 4, 1912 he was united in marriage to Miss Emily Nestaval at Montgomery. In 1912 he served at village clerk and worked as land appraiser for Federal Lank Bank in 1930 and 1931. Always interested in agriculture he assisted in organizing the first 4-H club in Rice county and in this community. He also took an active part in the Farm Bureau. Mr. Skluzacek was a lifelong member of the Immaculate Conception parish and the many floral tributes and innumerable mass offerings attest to the respect he enjoyed among his many friends. 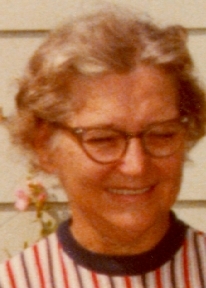 The deceased is survived by his wife and two daughters, Mrs. James A. Wayne (Vivian) of San Francisco, Calif., and Mrs. Paul J. Fink of Northfield and four grandchildren. He is also survived by two sisters, Mrs. Mary Kucera of LeCenter, Mrs. Anna Schatz of Montgomery, and five brothers, Joseph F. of Lonsdale, Albert J. of Faribault, Jacob C. of Northfield, Frank A. of New Prague, and Anthony of Arizona. Funeral services were held at the Immaculate Conception church on Saturday, Aug. 9, at 9:30 a.m. The Rev. Stanley J. Skluzacek, intoned the requiem high mass. Internment was made in Calvary cemetery. Pallbearers were all nephews of the deceased: Frank Skluzacek, Theodore Skluzacek of Lonsdale, Leonard Skluzacek, Roland Skluzacek, Daniel Skluzacek of Northfield, and Frank Jirik of Webster. Relatives and friends from out of town present at the funeral included Mr. and Mrs. Jacob C. Skluzacek of Northfield, Mrs. William Tralee of Northfield, Rev. Jerry Skluzacek and Miss Josephine Skluzacek of Protivin, Iowa, Mr. and Mrs. Bert Traxler and Mrs. Anna Schatz and son, Joseph of Montgomery, Mr. and Mrs. Frank M. Kaisersatt and daughter Harriet of Faribault, Mr. and Mrs. S.C. Gale of Minneapolis, Mr. and Mrs. George Fink, and Mr. and Mrs. Warren Fink of Northfield, Mr. and Mrs. Arnold Fink of St. Paul, Mr. and Mrs. J. Minar of New Prague and Mr. and Mrs. Elmer Mahowald of Northfield. Frank Michael Kaisersatt was a Teacher. Frank had sisters of Anna and Elizabeth. In 1920 Census, Frank's parents from Bohemia, German language. > > Check birth, seen 12Jan1880 in obit, & 27Jan1880 elsewhere. Frank Michael Kaisersatt was a Catholic. His Social Security Number was 475-22-6533. Following from The History of Rice and Steele Counties, Vol II, 1910, Chicago, page 1342-1343. Frank M. Kaisersatt, a native of Montgomery, Minn., was born January 27, 1880. Here he passed his boyhood, and acquired much of his education, completing this with a course in the Omaha Commercial College, of Omaha, Neb., in 1899. He then taught school in district No. 18 in Le Sueur county, for three years, during which time he also attended the Sherman high school at Montgomery, graduating from that institution with the class of 1904. In the year 1902 he accepted a position in a Rice county district, and was principal of the Willow Grove school in Wheatland township for two years. Acquitting himself with much credit, he was then offered the principalship of the Veseli school, which he filled with marked success for five years, and until his appointment as deputy county auditor, January, 1909, which position he now holds. In politics he is a follower of the Republican party and his influence in public affairs has always been for the good; especially in educational lines has he been very active. Mr. Kaisersatt has served as town clerk of the town of Wheatland, and as justice of the peace of the village of Veseli. He is a prominent in fraternal organizations, being a member of the Modern Brotherhood of America, the C.S.D.P.J. (Bohemian Workmen), the Z.C.K.J. (Bohemian Catholic Union). He was married, July 6, 1905, at St. Paul, to Anna E. Nestaval, daughter of Mr. and Mrs. Joseph Nestaval, of Montgomery. They have one child, Harriet Mae Kaisersatt, born October 31, 1906. The family residence is on Second street, West. They are members of the Roman Catholic Church. Thomas J. and Catherine (Havel) Kaisersatt, parents of our subject, were natives of Bohemia, emigrating to America in 1865, and settling near Montgomery, Minn., where they engaged in general diversified farming till the father's death, July 6, 1901. The mother passed away in 1884. Following from The Faribault Daily News 24 Dec 1913, Wednesday, page 1, column 5. Frank M. Kaisersatt, who has been deputy county auditor for the last four years, was appointed auditor last week by the board of county commissioners, immediately after they accepted the resignation of James W. Trenda. Mr. Kaisersatt has born the burden of a great part of the work of the office for some time and his work earned him the unanimous vote of the commissioners. Mr. Kaisersatt was born in Montgomery, LeSueur county, January 27, 1880. He was educated in the common schools of Montgomery, and is a graduate of the Montgomery high school and of the Commercial college of Omaha. After leaving school, Mr. Kaisersatt taught school four years in LeSueur county, and seven years in Rice county, the last five of which he was the principal of the schools in Veseli. In January, 1909, he was appointed deputy county auditor, which position he held until he was chosen to fill the vacancy left by the resignation of Mr. Trenda. His term will last about a year. Following from The Faribault Daily News 22Jun1960, Wednesday, page 10, column 8. Funeral services for Frank M. Kaisersatt, who passed away Tuesday morning, will be held Thursday afternoon at 2:30 o'clock from the Lenmark Funeral Home with the Rev. Joseph McKee officiating. Burial will be at Maple Lawn Cemetery. Following from The Faribault Daily News 27Jun1960, Monday, page 10, column 7. Funeral services for Frank Michael Kaisersatt of Faribault were held at the Lenmark Funeral Home at 2:30 June 23 with the Rev. Joseph McKee officiating. Internment took place at the Maple Lawn cemetery where a masonic service was held at the graveside. Pallbearers were: Eldon Prinzing, Frank Thayer, Irven Larson, J.V. Williams, Edward Hunt and Herman Hassler. Frank Kaisersatt was born to Thomas and Katrina Havel Kaisersatt on January 12, 1880 on the family farm near Montgomery. He attended Montgomery High School and earned a teachers certificate in a school in Omaha, Neb. He lived and taught school in Veseli and District No. 18 of Montgomery. In 1905 he married Anna Nestaval who died 10 years later in 1915. In 1917 he married Elizabeth Nestaval in Minneapolis. He was appointed deputy County Auditor of Rice County about 1909 and moved to Faribault where he has lived ever since. He has held the offices of County Auditor, and Deputy Registrar of Motor Vehicles for 25 years. Mrs. Kaisersatt worked with him in the office. Kaisersatt was a member of the Masons, the Odd Fellows Lodge, the Eagles and the Western Bohemian Fraternal Association. He is survived by one daughter, Harriet Mae Kaisersatt; one sister, Alvina (Mrs. Harry Rudder) of San Diego, Calif. And one brother, Jake Kaisersatt of Montgomery. His wife and his parents preceded him in death. Relatives and friends attended the funeral from Montgomery, Northfield, St. Paul, and Minneapolis. Kaisersatt passed away suddenly June 21 at 10 o'clock at his home in Faribault at the age of 80 years. Census 1920 Faribault, Rice Co., Minnesota, E.D. 117, sheet 3. Census 5 April 1930 Faribault, Rice Co., Minnesota, listed as 50 years old, born in Minnesota, enumerated with wife Elizabeth and daughter Harriet. Anna Nestaval was born on 19 February 1846. She was the daughter of Jacob Nestaval and Mary Mencik. Mathias Vrzal was a Farmer. The 1920 Census taken 7Jan1920, lists Math as 77 years old. >>> Need to verify wife's maiden name: KUBES or MACH. In the 1920 ND Census, Dunn County, twp 142 range 95, E.D. 56, sheet 1, Math Vrzal listed as immigrating to US in 1882, and becoming a naturalized citizen in 1890. Math a farm laborer, was enumerated with his wife, Marrie, and single daughter, Anna. Census 1920 Twsp. 142 Range 95, Dunn Co., North Dakota, E.D. 56., sheet 1. [S2279] Find a Grave Inc., Find a Grave, database and images (: accessed Mar 2014), Mathias Vrzal (1847-1921) gravestone photograph, memorial no. 102480654, Saints Peter and Paul Cemetery, New Hradec, Dunn Co., North Dakota, photograph © Howard McGlothlin, 2014. Her married name was Vrzal. First eight children listed in John A. VRZAL obituary. John A. VRZAL obituary says mother was Mary KUBES. Stella SQUIRES says John A. VRZAL mother was Mary MACH. [S2270] Find a Grave Inc., Find a Grave, database and images (: accessed Mar 2014), Marie Vrzal (1847-1927) gravestone photograph, memorial no. 102480622, Saints Peter and Paul Cemetery, New Hradec, Dunn Co., North Dakota, photograph © Howard McGlothlin, 2014. Kate Vrzal was born circa 1886 at Minnesota; CENSUS: 1895 MN, LeSueur Co., listed as 9 years old. She was the daughter of Mathias Vrzal and Mary Kubes. Kate Vrzal married male Sabes. Her married name was Sabes. Kate Vrzal lived in August 1929 at Mandan, Morton Co., North Dakota. Census 1905 Montgomery, Le Sueur Co., Minnesota, listed as 18 years old. Her married name was Kopet. Mary Vrzal lived in August 1929 at Veseli, Rice Co., Minnesota. The 1920 Census taken Jan1920, Thomas listed as 33 years old. In 1920 Census, Thomas listed as farm laborer, born in ND. He lived in September 1929 at North Dakota. Census 1905 Montgomery, Le Sueur Co., Minnesota, listed as 16 years old. [S2280] Find a Grave Inc., Find a Grave, database and images (: accessed Mar 2014), Thomas Vrzal (1888-1947) gravestone photograph, memorial no. 96460042, Saint Wenceslaus Cemetery, Dickinson, Stark Co., North Dakota, photograph © no photograph, 2014. Jacob Vrzal was the son of Mathias Vrzal and Mary Kubes. Jacob Vrzal lived in August 1929 at North Dakota. James Vrzal was the son of Mathias Vrzal and Mary Kubes. James Vrzal lived in September 1929 at North Dakota. Albert John Vrzal was born on 1 March 1886 at Bohemia.1 He was the son of Mathias Vrzal and Mary Kubes. Albert John Vrzal married Theresa Elizabeth Chalupa. Albert John Vrzal died on 13 November 1962 at New Prague, Le Sueur Co., Minnesota, at age 76.1,2 He was buried at Calvary Cemetery, Le Sueur Co., Minnesota; Find A Grave Memorial# 7899117. The Social Security Death Index, lists a Theresa Vrzal, born 06Oct1898, and died in Sep1970. With a SSN of 475-10-4216 that was issued in MN. Her usual place of residence was Montgomery, MN. > > > Need to verify if this was the wife of Albert J. Vrzal. Census 1920 Montgomery, Le Sueur Co., Minnesota, E.D. 75 or 25, sheet 3. [S25] Albert John Vrzal entry, SOURCE: Death records, LeSueur Co , MN, LeSueur County Courthouse, Le Center, Le Sueur Co., Minnesota. Male Sabes married Kate Vrzal, daughter of Mathias Vrzal and Mary Kubes. He lived in 1929 at St. Paul, Ramsey Co., Minnesota. The cause of death was Cancer. His Social Security Number was 469-01-7955 issued in MN. Census 1920 Twsp. 142 Range 95, Dunn Co., North Dakota, sheet 1. [S1994] Minnesota Death Index, 1908-2002, online http://ancestry.com, Certificate Number:005245. Hereinafter cited as Minnesota Death Index, 1908-2002. James Vrzal was born on 27 September 1906. He was the son of John Albert Vrzal and Mary A. Nestaval. James Vrzal died on 19 July 1921 at Le Sueur Co., Minnesota, at age 14; Cert# 331906. James Vrzal was also known as Jimmie. SOURCE: Stella Squires. In 1920 Census, James listed as born in North Dakota. Her married name was Squires. SOURCE: Birth notice, Montgomery Messenger newspaper, 18Sep1908. SOURCE: Stella Squires letter 12/1996. Social Security Death Index (b- 11Feb1910 d- 20Oct1991). His Social Security Number was 469-07-9513 issued in MN. Obituary notice. His Social Security Number was 473-03-7291 issued in MN. [S1994] Minnesota Death Index, 1908-2002, online http://ancestry.com, Certificate Number: 029468. Hereinafter cited as Minnesota Death Index, 1908-2002. Gordon Justus Squires was a self-employed truck driver. He lived in January 1984 at 236 So. Grove, Mora, Kanabec Co., Minnesota.2 The cause of death was Cardiopulmonary arrest, other significant condition was Emphysema. Social Security Death Index (b- 18Nov1909 d- Jan1984.) His Social Security Number was 475-03-9769 issued in MN.